Iran and North Korea have signed an agreement to collaborate in the fields of science and technology, showing that nearly a decade of US efforts to isolate the two states internationally might have actually pushed them closer together. 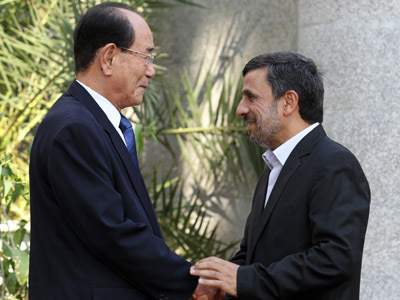 Iranian state television said President Mahmoud Ahmadinejad and North Korea's nominal head of state Kim Yong Nam were both present in Tehran for the signing of the agreement on Saturday. The two states will cooperate in biotechnology, engineering, renewable energy, sustainable development, research, joint laboratories and the environment, and facilitate more student exchanges, Reuters cites Iranian Labor News Agency (ILNA) as saying. On the same day, Iran's First Vice President Mohammad Reza Rahimi called for the strengthening of economic ties between the two states, the agency cites Iranian state TV as reporting. North’s Korea’s No. 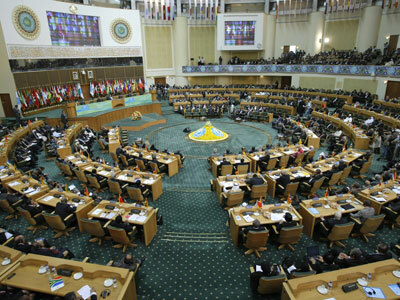 2 was in Tehran along with 119 other world leaders for the 16th Summit of the Non-Aligned Movement. The summit, whose agenda included nuclear disarmament, human rights and the Syrian conflict, is one of the few multilateral forums in which Pyongyang participates. It had previously been speculated that North Korea’s supreme leader Kim Jong-un would be in attendance. 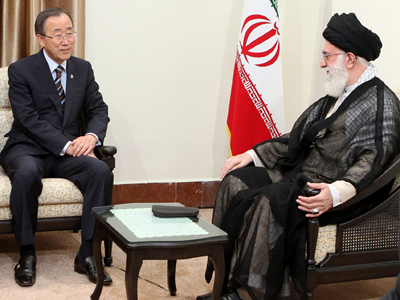 Iran's Supreme Leader Ayatollah Ali Khamenei met with Kim Yong Nam and was quick to underscore the force underpinning growing collaboration between the two states. "The Islamic Republic of Iran and North Korea have common enemies, because the arrogant powers do not accept independent states," the ILNA quoted Khamenei as saying. Khamenei’s harsh rebuke was most almost certainly targeted at the United States, which vilified the two states as being part of an "Axis of Evil" (along with Iraq) in 2002 despite the lack of any overt ties between the three states. Iranian and North Korean officials have previously characterized their countries as being in "one trench" in the fight against the United States and the West. Western powers have accused them, meanwhile, of being close partners in nuclear and missile technologies. 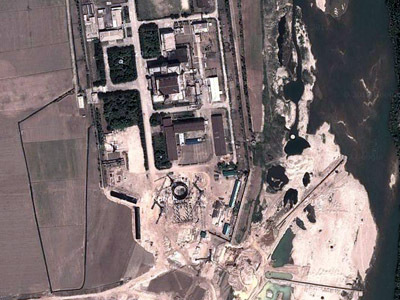 In April, an Iranian delegation comprising more than 10 ballistic missile engineers reportedly traveled to North Korea to observe Pyongyang’s failed attempt to send a long-range rocket into space, Kyodo News reported. 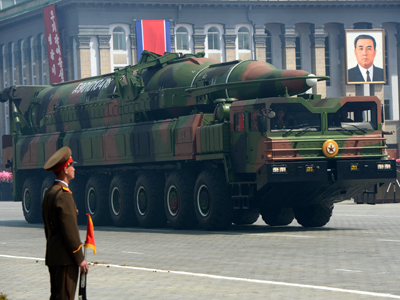 The failed launch sparked widespread condemnation in the West. The Japanese news agency said the two countries pledged to deepen cooperation on bilateral “strategic projects” later in July, which analysts argue could include efforts to develop high-altitude missile and nuclear development. The United States has regularly accused Tehran and Pyongyang of being state sponsors of terrorism, though the US removed North Korea from the lists of states involved in terrorist activity in 2008. Both states have also incited Western ire for their nuclear weapons programs, both alleged and proven. North Korea for its part withdrew from the Treaty on the Non-Proliferation of Nuclear Weapons (NPT) in 2003, with Pyongyang publicly announcing two years later it had developed nuclear weapons. "We had already taken the resolute action of pulling out of the Nuclear Non-Proliferation Treaty and have manufactured nuclear arms for self-defense to cope with the Bush administration's evermore undisguised policy to isolate and stifle the DPRK,” a foreign ministry statement at the time read. 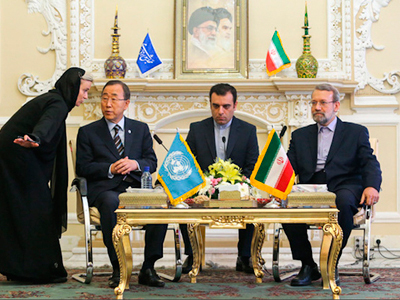 Iran remains a party to the NPT, and has denied any attempts to actively acquire or develop a nuclear weapon, insisting that its uranium enrichment program is for civilian purposes only, a view shared by the majority of experts around the world. 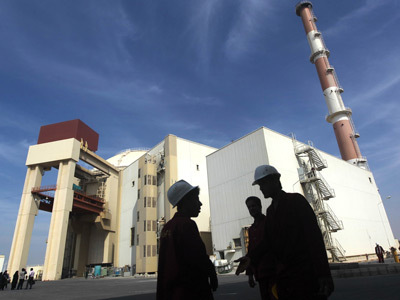 However, repeated charges that the Islamic Republic’s nuclear program has fallen short of the country’s NPT obligations have made Iran the target of an increasingly harsh sanctions regime, and a potential strike by neighbor Israel.